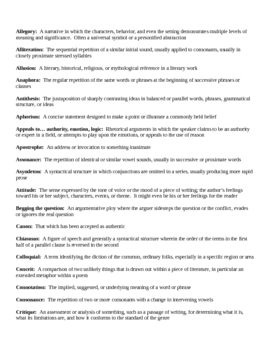 A complete list of 74 literary techniques that all AP Language students should know before taking the AP exam. Seven scaffolded quizzes are included. Quiz #1 starts with the first 14 terms, and each quiz adds on 15 terms consecutively until they reach all 74 terms on Quiz #5. Quiz #6 adds on logical fallacies and Quiz #7 is a review of all the literary techniques and logical fallacies- perfect for last minute review before exam day! 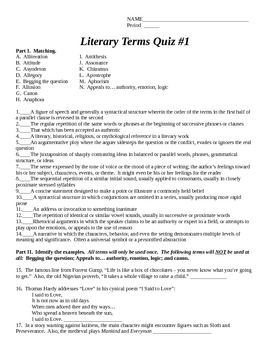 Each quiz includes a matching section with the terms and definitions, an 'Identify the Example' section, and a 'Write Your Own Example' section. 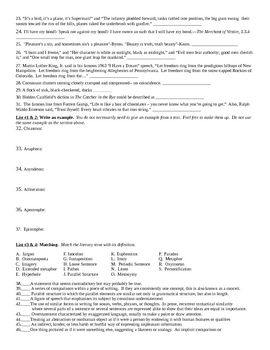 Answer keys for all quizzes are included. These quizzes took hours for me to make, but you can get them all in about 2 seconds!